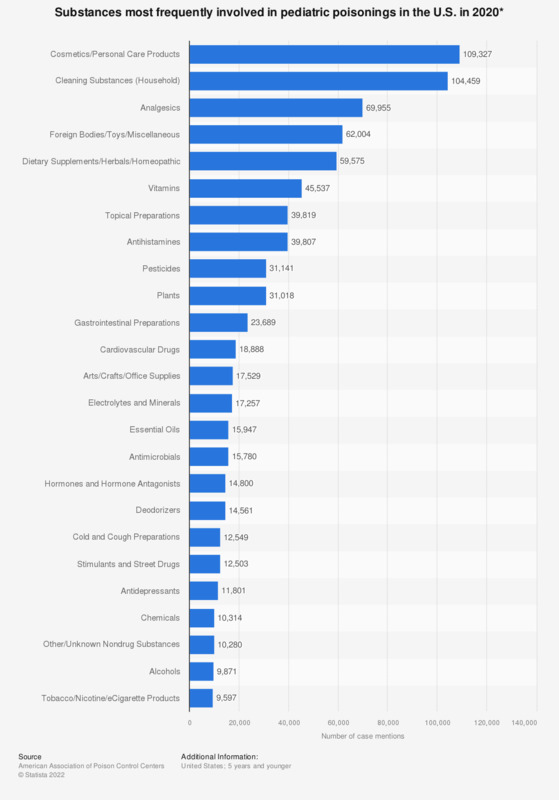 This statistic shows the substances most frequently involved in pediatric poisonings in the U.S. in 2017, by the number of reported cases. In that year, cosmetics and personal care supplies caused the most poisonings in children aged five and under with approximately 125,838 reported cases. * Includes all children with actual or estimated ages less than or equal to 5 years old. Results do not include “Unknown Child” or “Unknown Age”. Data presents total number of mentions in cases reported to national poison centers.